GIANNI RUSSO has made a career of playing tough guys. Although remembered most for his portrayal of Carlo Rizzi in “The Godfather”, his first acting job, his career has spanned over 40 films including such hits as The Freshman, Rush Hour, Any Given Sunday and Sea Biscuit as well as television roles in Kojak, The Rockford Files and Prison Break. And most recent.. due out this fall “Send No Flowers”. Russo believes it’s his crooning that separates him from the mob of other on-screen wise guys. His debut CD Reflections paid homage to such legendary singers as Dean Martin and Frank Sinatra. These icons inspired him both personally and professionally. The CD, which is available on iTunes and Amazon.com contains a bonus track where Russo reminisces about the behind-the-scenes drama that took place during the filming of “The Godfather”. Russo travels the country with his orchestra to sold out appearances performing the music that has influenced his Life. His follow up CD was released in June 2010, and his self titled wine label Gianni Russo Wines launched nationally in 2009. Born in Manhattan and raised in Little Italy and Staten Island, Russo overcame polio as a child to start his first “business” at the tender age of twelve, selling pens and erasers on the street corners. At eighteen Russo made his first trip to Miami, where he began to dabble in show-business, working in nightclubs and hotspots before deciding to pursue acting and move to Hollywood. Russo’s colorful life is currently being adapted into a feature film by producer Brett Ratner (Rush Hour, Horrible Bosses, Red Dragon, and is currently filming the sequel to King Kong). Screenplay was written by George Gallo of “Midnight Run” fame, “Bad Boys” and “Middle Men”, and to be directed by Barry Levinson of “Diner” & “Taxi” fame. Available now is disk 1 of “The Godfather Stories By: Carlo Rizzi a.k.a. 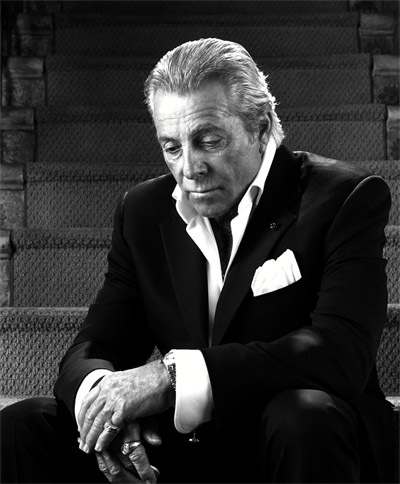 Gianni Russo”, with 9 more volumes coming soon! Mr. Russo currently resides in New York, and this summer is doing personal appearances throughout the United States, Puerto Rico, Dominican Republic and Panama. To stay current with our travel and performances, follow us on Facebook and Instagram.